A healthcare model providing care at a high cost and with high rates of emergency department utilization, no matter the level of quality, is not sustainable, according to a new infographic by Phillips. 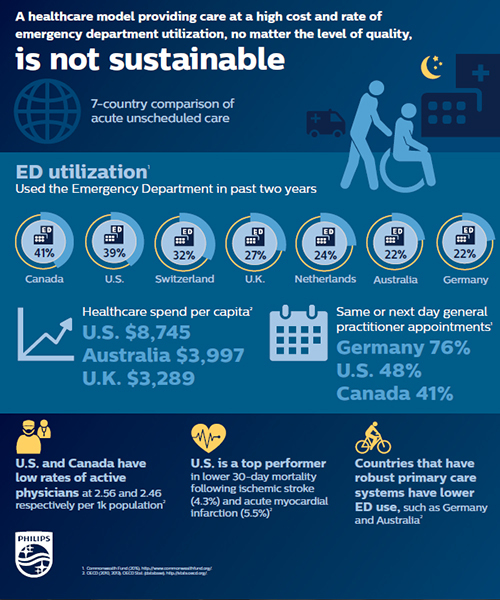 The infographic provides an assessment of acute unscheduled care, the demands on acute care providers, and use of the emergency department across 7 countries: Australia, Canada, Germany, the Netherlands, Switzerland, the United States, and the United Kingdom. 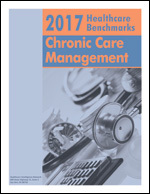 This entry was posted on Wednesday, September 20th, 2017 at 1:30 pm	and is filed under Avoidable ER Use, Chronic Care Management, Healthcare Trends, Healthcare Utilization, Infographics. You can follow any responses to this entry through the RSS 2.0 feed. Both comments and pings are currently closed. « Infographic: Are Specialty Practices Prepared for MACRA?